I spent eighteen happy months portraying wolves and providing illustrations for two books concerned with wolves and human attitudes towards wolves. The books: ‘A New Era for Wolves and People’ & ‘World of Wolves‘ by Marco Musiani, Luigi Boitani, and Paul Paquet, published Oct. 2009 & Oct. 2010, collate information from various authors and bring together authoritative perspectives on the ecological role played by wolves in the wild and developed environments where they occur on Earth. 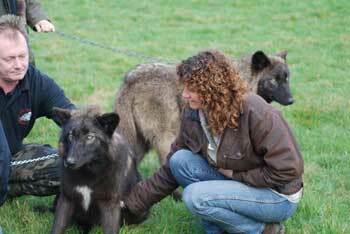 Wolf Walk at the the U.K Wolf Conservation Trust and my introduction to Wolves. Thank you Mai & Mosi! For more on the Wolf Book launch, click here. I couldn’t believe it, and felt extremely privileged to have a wolf gently resting her head on my shoulder; an amazing feeling. In Europe, North America and Russia wolves are still hunted for sport, poisoned, shot and trapped. 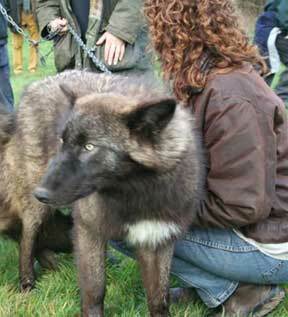 During the 1700’s, in the United Kingdom, the last wolf was killed in Scotland and wolves became extinct in our country. In the last century, America’s wolves were nearly hunted, trapped, poisoned and harassed to extinction. The wolf population declined so drastically that measures were eventually taken to give them protection. During 2007, the U.S. Fish and Wildlife Service released a proposal to strip wolves of crucial Endangered Species Act protections. Aerial gunning has resumed in Alaska and hundreds of wolves have been killed by state-sanctioned gunners in low-flying aircraft. Easy targets against fallen snow; the wolves are gunned down indiscriminately from airplanes or chased to exhaustion and shot at point blank range. 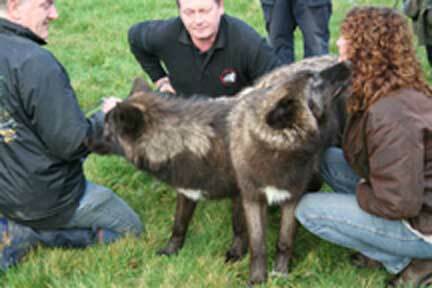 This is not wolf control – it is a ‘wolf massacre’. As with all top predators, wolves worldwide help the overall health of natural ecosystems. In Alaska, wolves help keep moose and caribou populations healthy and strong by taking the old and weak.